Steel, paint and electric light, 190.5 x 193 x 1244.6 cm. For the first time in Israel, the Tel Aviv Museum of Art is presenting a comprehensive solo exhibition dedicated to groundbreaking French-American artist Louise Bourgeois (1911–2010), one of the most brilliant, prominent, and influential women in 20th century art. The exhibition explores the duality in Bourgeois’s concepts and forms; the dialogues between inside and outside, conscious and unconscious, male and female, the body and architecture, passive and active. Bourgeois, who passed away at the age of 98, left a fascinating body of work combining sexuality and psychoanalysis, which greatly contributed to the development of Feminist theory. Her artistic career spanned seven decades, but it was not until 1982, when Bourgeois, by then 71-years old, became the first woman artist to be given a large-scale sculpture retrospective at the Museum of Modern Art in New York, that she got her big break and gained wide recognition. This turning point confirmed her status as an inspiring, leading contemporary artist whose dramatic works—which explore family relations, parenthood, marital relationships, femininity, masculinity, pain, passion, and aggression—are profound and revealing in their intricacy. The exhibition Twosome, focusing on relationships, will feature over 50 works—monumental as well as small sculptures, textile works, and drawings—from all the major phases and periods in Bourgeois’s career, including some of her best-known pieces. It will include, among others, the iconic steel sculpture Spider Couple (2003)—the spider being a hallmark of Bourgeois; the provocative sculpture Fillette (Sweeter Version) (1968–99)—a phallus representing frail, vulnerable masculinity; and Passage Dangereux (1997)—the largest and most significant work in the series of Cells, which comprises enclosed cage-like spaces containing symbolic domestic objects. The exhibition will be centered on Bourgeois’s monumental sculpture Twosome, created in 1991 and unveiled in a show at the New York MoMA later that year. This rarely exhibited sculpture now lends its name to this exhibition at Tel Aviv Museum of Art. 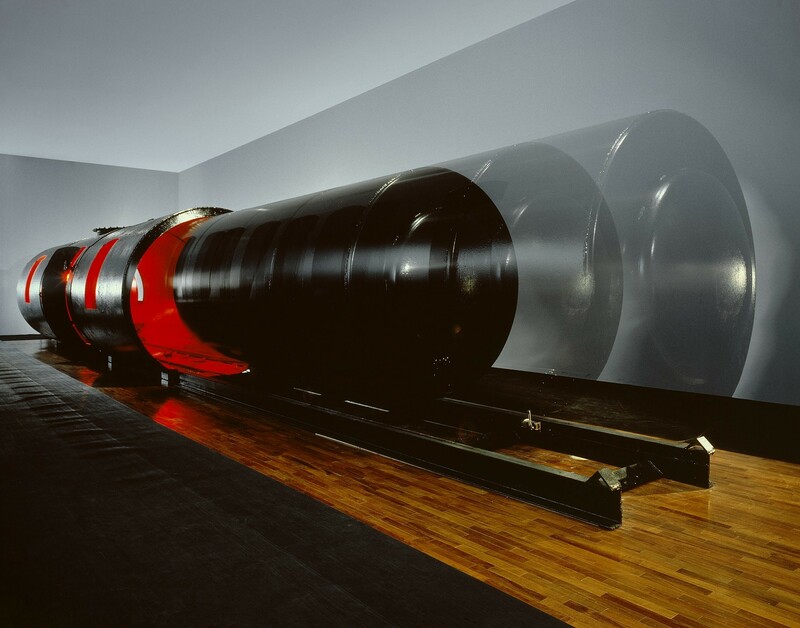 The work is made of two large steel tanks flooded with flickering red light, the smaller tank rolling in and out of the larger tank. This repeated mechanical movement elicits sexual connotations, although Bourgeois herself maintained that it addressed mother-child relations—the basic, primary two-person relationship which determines all future relationships. The exhibition Twosome was produced by Tel Aviv Museum of Art in collaboration with the Easton Foundation. It is accompanied by a bi-lingual (Hebrew-English) catalogue.